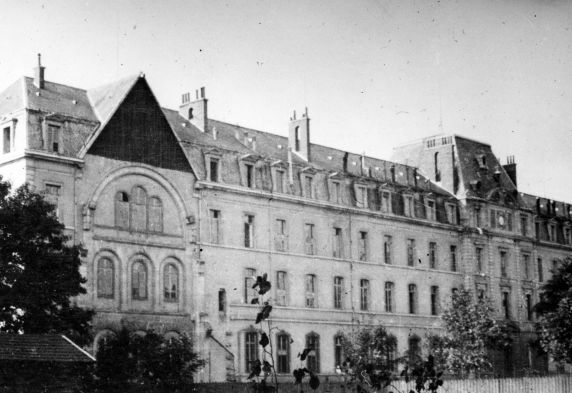 ﻿﻿Exterior View of Main Building, Base Hospital 17, Dijon, France. Prior to being used by the American Expeditionary Forces, it served as the Hospital St. Ignace (French Auxilliary Hospital No. 77).